The emergence of the Internet and the growing participation of people, especially youth, in social media constitute positive change for Central Asia. 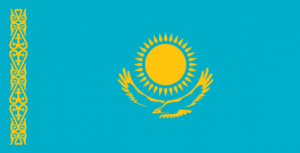 Uzbekistan as well as the other four countries in the region – Kazakhstan, Kyrgyzstan, Tajikistan and Turkmenistan – has become more connected to the world than ever before. Despite wide-ranging political restrictions and bans, the flow of information through social media is unstoppable. While some debate whether these governments could shut down access to social media altogether to curtail politically sensitive discussion, this author contends that by doing so, they would be making a serious and ultimately unsuccessful gamble. What drives the audience is the quality of the content and the way it is communicated. What keeps people engaged is the sense of forward motion, the anticipation of what will come next and having a desire to shape it. The power and promise of social media for Central Asia is that it gives an unprecedented opportunity for critical thinking and the discussion of the region’s challenging realities to a wider audience than had hitherto been possible. The Turkish Model or the Turkish Developmental Alternative was promoted in the Central Asian Republics immediately following the dissolution of the Soviet Union. The Model emphasised the ideal of a ”secular, democratic, liberal society”as a model for the post- Soviet Turkic world and in the process encouraged a”Turkic” rhetoric that emphasized connection between the two regions based on acommon ancestry. While Turkey was presented as ‘’the’’ model of development fora vast region there was also the emergence of a critique of this ‘’modern’’ model from within the state itself particularly in terms of how the Turkish state continued to exclude certain groups from its definition of who constitutes its “relevant’’citizen. Gezi Park and subsequent events within Turkey have brought into questionthe democratic credentials of the state. This presentation questions the myth andrhetoric of a model that emerges in the face of transitions and recedes asalternatives emerge from within. The Central Asia Program and SIPRI North America have the pleasure to invite you to the Third Central Asia Fellowship Seminar. The Water/Energy Nexus in Central Asia Do we ask the right questions? 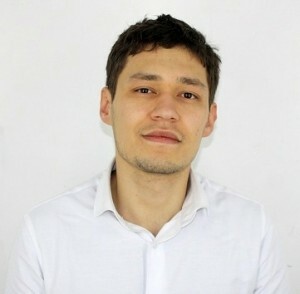 Said Yakhyoev holds master’s degrees in Political Science from OSCE Academy and in International Peacebuilding from the University of Notre Dame. Said’s interest and experience are in good governance in the extractive industries and its linkages to conflict. He has worked at a non-profit Bank Information Center in Washington, D.C. where he promoted transparency and sustainable policies of the international financial institutions investing in extractive industries. He works at the OSCE Office in Tajikistan promoting development policies and cross-border trade. During his fellowship he studied the ways Tajik rural administrations could answer their energy needs based on the example of the Rasht Valley. 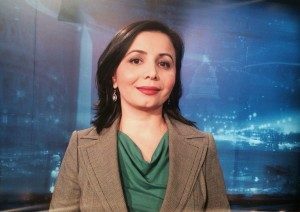 Nariya Khasanova graduated from the University of World Economy and Diplomacy in Tashkent, where she studied International Economic Relations. 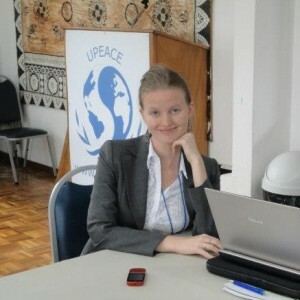 She has undergone two internships at the UN (UNDP Office in Uzbekistan; UNDP Bratislava Regional Center). She has also been working on an Asian Development Bank Project in Uzbekistan. 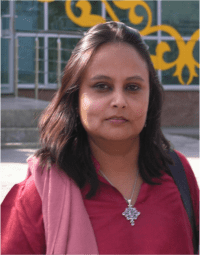 Her interest in development, peace, and conflict studies led her to the UN Mandated University for Peace, where she obtained her master’s degree in Sustainable Urban Governance and Peace. During her fellowship she studied deconstructed the Rogun issue by demonstrating the need to shift to national solutions in terms of water use. Central Asia has a chronic and acute lack of public policy experts and the opportunities for young professionals to hone their analytical skills are few and far between. The lack of a robust pool of public policy experts, compounded by the entrenched ideological divide existing between civil society and academia, has had a detrimental effect on the transparency and vigor of policy debate in Central Asia. The CAP-SIPRI North America Central Asia Fellowship Program is intended for young professionals—scholars, government officials, policy experts, human rights and democracy activists—who want to enhance their research and analytical skills and seek to become public policy leaders in their respective countries. More generally, the fellowship program seeks to provide a platform for the exchange of ideas and build lasting intellectual networks between the Central Asian and the US scholarly and policy communities. The Internet and social media are slowly beginning to revolutionize the Islamic marketplace of ideas for Central Asians. 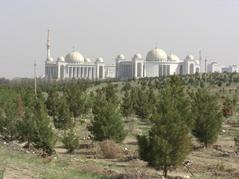 Similar to processes identified by scholars like Peter Mandaville in other contexts, Central Asia’s access to digital Islam has been delayed by low Internet penetration, authoritarian controls on media and communication, and, in part, by Central Asia’s peripheral status in the Muslim world. 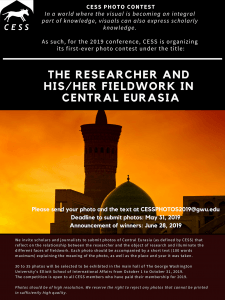 Advances in communications technology and large-scale migration are rapidly eroding these obstacles, however, allowing Central Asians to increasingly participate in trans-national Islamic discourses through digital media. As Central Asians engage with the global Muslim community, debates from other social and political contexts seep into local discourse. Religious quarrels between Saudi Salafi scholars and competing styles of Islamically-inspired women’s fashion from Turkey or Egypt more often inform debates about how to be a good Muslim among young Uzbeks and Kazakhs who have no personal connection to the Middle East. While most of the content in the marketplace centers around personal piety, others topics come with new political baggage, including calls to choose sides among fratricidal jihadist factions in Syria or al Qaida influenced hate rhetoric against other Muslims groups many Central Asians have never before encountered. The process of engaging in this global marketplace remains slow and affects only a minority of the population, but it is growing at a rapid pace and remains mostly undocumented and unmonitored by both academic and government analysts. This workshop will examine some of the many ways digital media permit people, groups and ideas previously isolated or excluded from religious and political debates in the region to circle back and re-engage networks in their countries of origin. Uzbeks forced to flee theirhomeland after the Andijon events, for example, worked together to build Uzbek language internet resources to document their experiences, to tell their own version of the Andijon tragedy that starkly contrasted official versions, and organize activists inside the country and scattered around the world seeking justice for this and countless other injustices. Uzbeks or Tajiks living abroad for long periods as part of growing diaspora communities build on these same technologies and networks to preserve and distribute indigenous religious work banned in their home countries, like dozens of videos of sermons by Andijon imam Abduvali Qori Mirzoev, who disappeared from the Tashkent airport in 1995 and is presumed to have been killed in the custody of Uzbekistani security services. But they also acquire new language skills and specialized education that enable them to translate Islamic media produced in Arabic, Turkish or even English into their home languages, introducing popular and sometimes proscribed texts into regional languages, from works by Said Qutb and Maulana Maududi to popular reformist televangelists. These émigrés act as bridges between information environments, often creating branded digital media studios dedicated to bringing audiovisual content they believe is religiously or politically meaningful into their home language networks where it can be quickly shared by Bluetooth between cellphones even without an internet connection. Viral videos by popular Saudi clerics like Muhammad al Arifi calling on Muslims to rage over injustice in Syria cross into Central Asian language networks quickly by multiple vectors. Interviews by out-offavor members of the Karimov family with foreign news networks or footage from Ukrainian television that challenge narratives about the violence there this year Russian state-owned television network propaganda dramatically expands the range of narratives and perspectives available to internet users beyond what they receive in heavily censored state-approved media. Ties between global communities of Central Asians with better access to information sometimes pushes the state to allow the debates to expand, creating new space for those in the region to discuss issues that affect them. Compatriots abroad also at times introduce new material with the goal of drawing Central Asians out–to leverage a sense of global solidarity they build into mobilization for external causes, for foreign civil wars, to offer readers what they claim is a chance to create meaning for their lives by dying for a greater cause. This workshop will examine the way politics, religion, and conflict intersect online for Central Asians and discuss the way global engagement on these issues through the internet and social media might shape domestic discourse and ultimately the future of the region. The CERIA Initiative is generously funded by the Henry Luce Foundation.